The following press release was provided to LibertyHangout.org to republish. Protecting conservative and religious freedom of expression. We won our motion for a temporary restraining order. 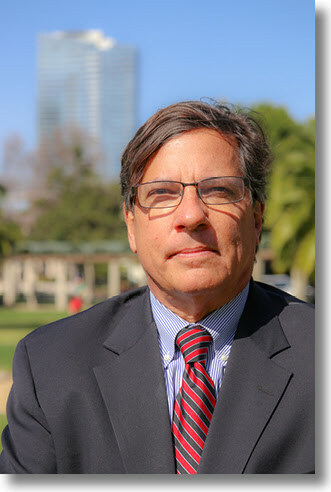 Today, U.S. District Judge John R. Adams of the Northern District of Ohio agreed with us that Kent State University should be prevented from assessing security fees against our client for its November 19, 2018, pro-2nd Amendment event.As we reported yesterday, when Liberty Hangout, a registered student organization at Kent State University in Ohio, applied for use of a campus auditorium to host Kaitlin Bennett (that’s her carrying the AR-10 rifle above) to discuss 2nd Amendment gun rights, the administration served the group with a $1,700 security estimate for eight police officers. Why, you might ask, should a student group, which isn’t financially able, be required to foot the bill for security every time Antifa protesters threaten to disrupt conservative events? 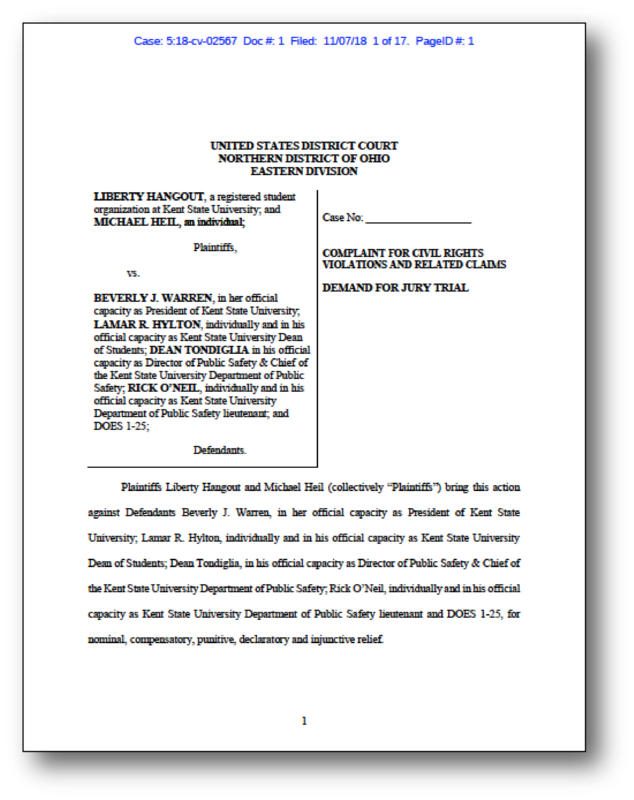 That’s the issue in Liberty Hangout v. Warren (Kent State University), a lawsuit we filed last week. Recall earlier this year we settled a similar lawsuit with the University of Washington, which agreed to eliminate its security fee policy financially burdening student groups altogether. This is a troubling pattern being repeated on public college campuses throughout the country. It must be stopped. The judge set a December 13, 2018, hearing on our Motion for a Preliminary Injunction preventing Kent State from assessing security fees during the lawsuit. Freedom X represents Liberty Hangout pro bono. As always, we are thankful for your prayers and tax-deductible donations to defray the cost of litigation. In that regard, we will need to fly out to Ohio next month to argue the motion. Please consider helping us cover the cost of travel as well as the filing fees already spent. We will have incurred $1,000 in legal costs by the end of the year. I formed Freedom X in 2013 to vindicate the rights of conservatives throughout the country. Please support Freedom X with your tax-deductible charitable donations now by clicking any of the Support FreedomX banners. Thank you and God bless you! Editor’s note: LibertyHangout.org is in no way affiliated with the lawsuit mentioned in this release.